These tasty conversation cupcakes are sure to make this Valentine’s Day sweeter with delicious chocolate and messages of love! Have any chocolate lovers in your life? 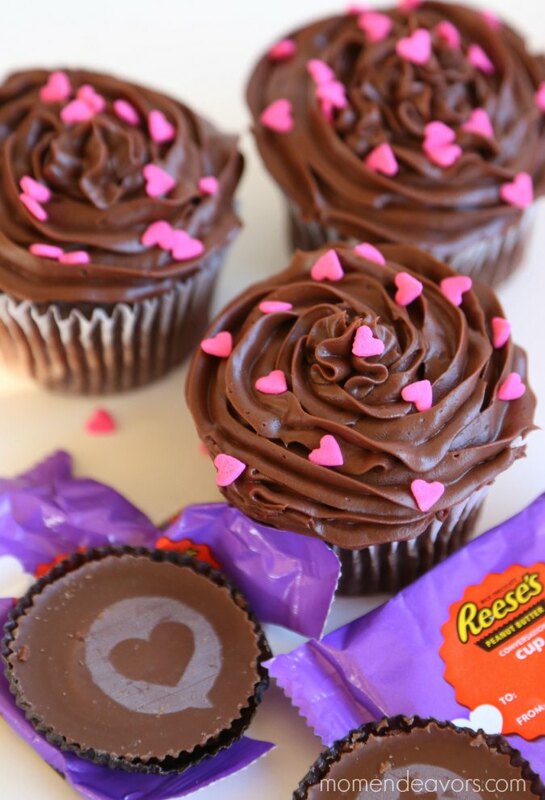 They’re sure to enjoy these sweet conversation cupcakes for Valentine’s Day! Aren’t these fun?! They’re made with Hershey’s newest Valentine’s Day treats- Reese’s Conversation Cups with Hershey’s Kisses Conversation Candies (available exclusively at Target) for some table decorations! Aren’t those SO fun?! The packaging makes them perfect for giving out to friends or attaching to classroom valentines cards. But what is especially fun with the Reese’s Conversation Cups is that there are sweet messages right on the chocolate!!! So, these are definitely perfect to give all on their own. But they were just calling to be Valentine’s cupcake toppers! 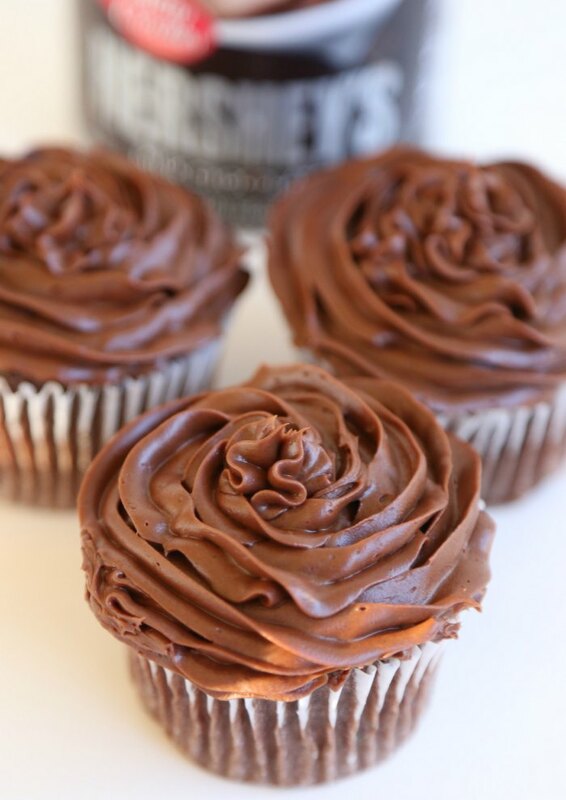 Start with your favorite chocolate cupcake recipe (or even store bought cupcakes). Add chocolate frosting and some cute sprinkles! 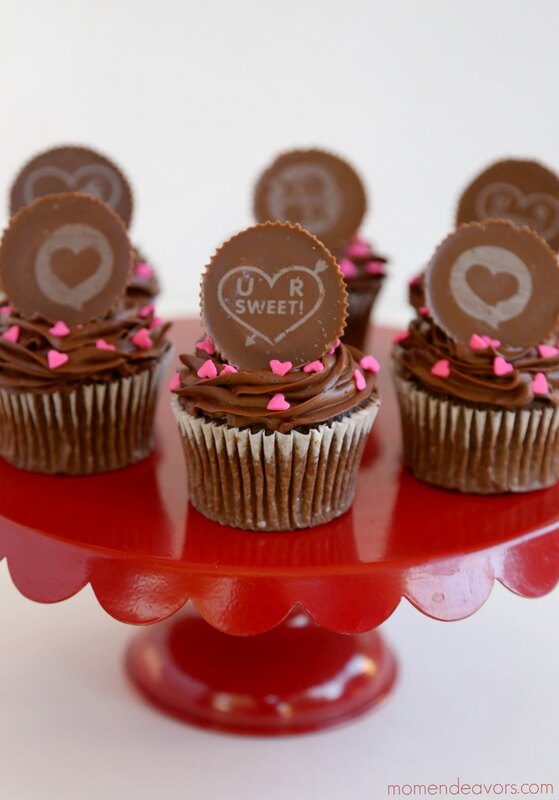 Then, unwrap your Reese’s Conversation Cups and place on top as cupcake toppers! 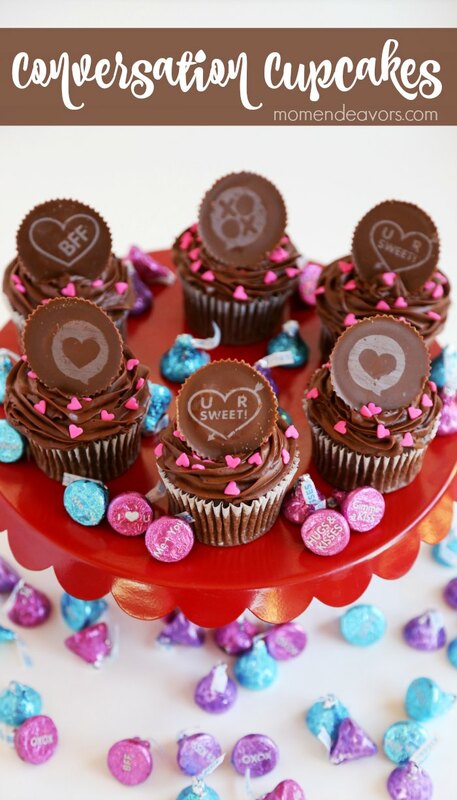 Then, you’ve got adorable Valentine’s Day cupcakes with sweet messages right there! Would YOU like a conversation chocolate cupcake? For more fun recipes and other creative ideas, be sure to check out CelebrateWithHersheys.com. You can also check out the #HSYMessageOfLove hashtag on social media! !